Check out Thomas Friedman's website for more information on the author of this year's One Book. Read the press release for One Book 2009-2010. Read about the nation's first large-scale environmental movement event, which happened at Northwestern. Read the latest news related to One Book One Northwestern and Hot, Flat, and Crowded. 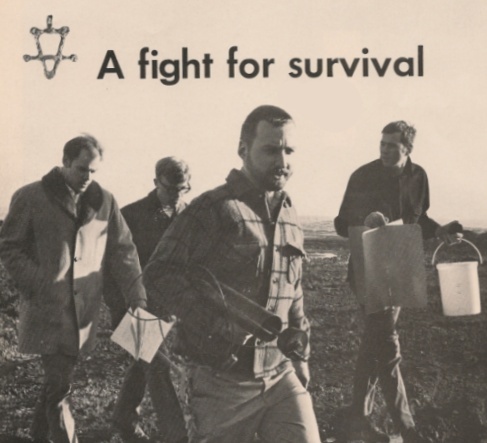 Project Survival was a student-led event, held on January 23, 1970. This extremely successful "teach-out" was planned, organized and carried out by Northwestern Students for a Better Environment. "PROJECT SURVIVAL is the result of the determination of a group of students and faculty members at Northwestern University to work toward an acceptable and stable habitat for [humankind] on earth. Its purposes are to initiate, sponsor, and encourage the study of environmental problems, and to disseminate information about them. It is our hope that, through cooperation with other such groups, to turn the nations of the world and their citizens toward ecological sensibility and responsible action."